Posted on February 1, 2018 by Bryan wrote in Blog. When I originally wrote on this topic a few years ago, I took a lot of flak over it by people who didn’t seem to disagree with my thoughts or conclusions, but apparently wanted to attack me personally for stepping into their lane or something. Character assassination notwithstanding, I think this is worth writing about again because the point is still valid. The question at hand: does load bearing gear, such as chest rigs or battle belts, have a place in the armed citizen’s kit? By “citizen,” I am of course referring to all lawfully armed persons, including not-currently-on-duty members of the military or law enforcement, who, when out of uniform or not acting under color of law, are basically John Q. Public. There is no shortage of people who like to spout scorn at those who choose to wear such gear to the range, and for sure there are folks who just like to play dress-up, but before we hop on the derp bandwagon, let’s consider this in more detail. “The mission drives the gear.” This is a truism with which we can probably all agree. With the parameters I’ve thus described, the grand majority of civil uses for carbines will be training, competition, and home-defense. Whereas defensive actions will require few shots fired, if any, extra magazines are more likely to be needed to replace a fouled magazine than an empty one. The homeowner seeking to defend his or her family with a full magazine in the rifle and one extra shoved in a pocket is more than adequately equipped to meet the needs of most reasonably foreseeable, domestic defensive carbine uses. Sure, we can all think up extenuating circumstances… Competition and training are much more ammo intensive, and ammo management is expected, which may entail multiple magazine changes. “Train like you fight” is another truism that we can probably all agree on. The individual with a rifle and one spare magazine defending their household will not likely have time to don a bunch of battle-rattle like plate carriers, drop-leg holsters and chest rigs when responding to a home invasion or armed robbery. So knowing that our fight might happen when we are suddenly awakened all messy haired and scantily clad, doesn’t mean we want to go to a carbine class or the training range wearing only our skivvies, does it? Heaven forbid. On the other hand, does that mean we always want to go train or practice with a bunch of gear we likely won’t have on hand when fate pulls that short straw for us some day? Of course not. So we have to find a balance point. Where do chest rigs fit in this mess? All I’m referring to is a wearable harness that conveniently carries extra ammunition feeding devices. I suppose we could include other load bearing gear in this description, such as battle belts. For this, I’m going to have to talk about my own personal experiences with them, as a student, competitor, instructor, and in general an armed citizen. Some may want to criticize this article ad hominem, citing my “lack of operational experience” because I do not have a military or law enforcement background. I really don’t care, the fundamentals are the fundamentals despite the arena and this article is meant to be an exercise in logic, not a resume comparison. My first competition shooting experience was service rifle competition at Camp Perry. For this type of shooting, I used an M1A and carried 3 standard 20 round magazines – 2 in use, one spare. For service rifle competition, the most we loaded in these mags was 8 rounds for the rapid fire stage (2 rounds from first magazine, then 8 from the second magazine in 60 seconds, prone or sitting depending on distance). Shooters begin the stage with one magazine loaded in the rifle, and the second would be placed on the ground within easy reach to facilitate a fast magazine change. For this type of match, no load-bearing gear was necessary. 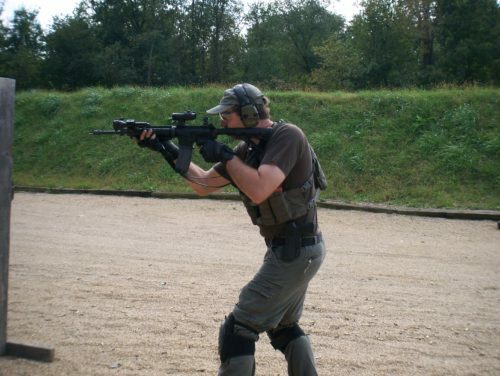 When I took my first actual carbine class in 2007 (Thunder Ranch Urban Rifle – awesome class by the way) I used a 5-11 Tactical vest with 2 magazine pockets. It provided quick access to the magazines, but what I learned quickly was that carrying less magazines on my person meant more trips back to my pile of gear, which meant less time shooting and learning and more time dealing with an administrative activity. A 5-11 Tactical vest with 2 magazine pockets provided quick access to the magazines. After the first day, I started stuffing extra mags in all my pockets so I didn’t have to leave my spot on the range as often. After all, I flew from Ohio to Oregon to learn and shoot, not play a magazine relay race. I also dumped a handful of loose rounds in my pocket to top off mags when I had time available. Does that mean I walk around with magazines and loose rounds in my pocket normally? Well, I try not to, but the rattling sound in my washing machine is telling me I forgot to check my pockets when I came back from the last range trip. While this may not be the most practical thing in the world for every day use depending on where you live, work, and play… is it a practical thing to do during a class? I think yes – the mission drives the gear. If the mission is training to use the carbine effectively, having a pocket full of magazines and loose rounds is an acceptable behavior. This point was brought home to me recently in a PRS match. I dropped a few loose rounds in my jacket pocket, and loaded a full 10-round AICS mag in my rifle at the beginning of a 10 round stage. Everything went fine until the last 2 rounds, that apparently picked up some debris and refused to go fully into battery. As a result, these rounds got ejected out of the rifle somewhere into the New Mexico desert, and rather than have to scramble for them, I was able to single load the rounds out of my pocket, and finish the stage on time. Back to my Urban Rifle experience: the advantages of this particular configuration were not many. On one side, I wasn’t using a specialized piece of gear. It isn’t unusual for me to wear a vest of some sort over a fleece for extra insulation and spare pockets in cooler weather. I also usually wear cargo pants of some variety, so I was training like I would fight, so to speak. What I learned was that my physical manipulations of the firearm were hindered by having to search for mags in various pockets, releasing my grip on the rifle to pat down pockets, and sticking the occasional low partial or empty in the rifle. In Clint’s words, it was “quite a rodeo.” I had a Déjà vu a few years ago watching one of my students running magazines out of his pocket in a carbine class I was teaching. Now the rifle was in his right hand, now in his left hand, now he’s looking for mags in his right pocket, all those are empty, now the rifle’s back in his right hand and he’s patting for mags in his left pocket… Clint was right, quite a rodeo. You can’t build solid weapons manipulation skills when you are too busy dancing the Tactical Macarena because you can’t find your magazines. 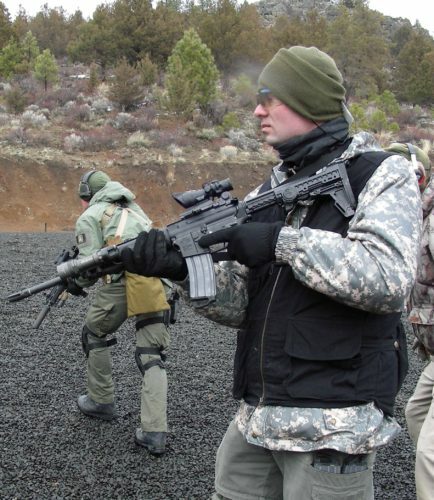 My next carbine training experience was Blackwater’s 5-day Carbine Operator Class. 2500 rounds in 5 days would mean at least 90 mag changes, 18 per day at minimum, just to keep the rifle loaded. In reality it was probably 2 or 3 times that amount including all of the various tactical and emergency mag change drills. The weather would be warm, so I knew I didn’t want some huge, gaudy, tactical turtle shell, but I also didn’t want to have to fight with magazines in pockets again either. I opted for a Bravo Company minimalist chest rig (no longer made) that held 4 mags in front and a hydration pouch in back. While it wasn’t perfect, it was a huge improvement and having a consistent place to find magazines helped me focus more on my carbine handling skills. The main drawback I experienced was that I found reloads to be somewhat slower having to reach up to get the mags out of the pouches, as opposed to stripping them out of a cargo pocket. In 2012, I got a call from Heidi at Thunder Ranch inviting me to come out to Oregon again for 4 days of training with James Yeager. For that class, I dug out my BCM Minimalist rig again and pretty much experienced many of the same benefits and drawbacks I had experienced at Blackwater, though it was late November in Oregon, which meant cold and wet. In Yeager’s Fighting Rifle class, we were doing many more tactical magazine changes and I was stuffing the partials in the pockets of my rain pants. At a certain point during one drill, the weight of the magazines in my pockets overcame the elastic waistband’s grip on my beltline and starting pulling everything south. By the time I finished, Yeager was asking me if I was trying to pull a Marky Mark impersonation or something. After that, I knew that a dump pouch was in order. My next carbine class was with Paragon 6 (Stoney Smith). In that class, I added 2 more items to my gear: a tek-lock equipped HSGI Taco on my belt, and a reasonable dump pouch made for me by friend Dr. Rivero. My technique was to run all reloads from the belt, all partials went into the dump pouch, all empties on the ground, and when I had time and opportunity, I could administratively manage my ammo by refilling the Taco on my belt with mags from my chest rig. This system seemed to work very well for me and I can walk to the line with 6 full mags – 168 rounds, which means more time learning and less time walking back to the ammo can. In 2016 I found myself back in Oregon for Thunder Ranch’s Urban Precision Rifle class. I decided to try a different approach by holding extra mags in a small satchel. 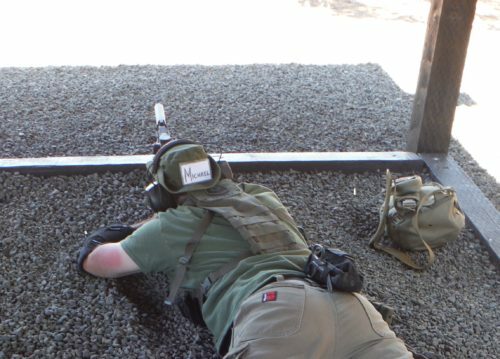 This was partially effective, but when getting into various positions to shoot under and around obstacles, the satchel got in the way horribly and didn’t hold magazines securely. After the first day, I ditched the satchel and donned my BCM minimalist vest again which immediately made life easier. Now some may wisely ask if I ever expect to find myself in some kind of armed confrontation with such a loadout? Thankfully there is almost zero likelyhood of this under current societal conditions, and at this stage in my life, that suits me right down to the ground, …or so I believed until the fall of 2017 when an armed fugitive found his way into my neighborhood, and during the ensuing police manhunt broke into several houses, exchanged fire with the police several times, and evaded them for hours. Guess who was walking around the house in his chest rig with a slung carbine that day? One fact I am fond of pointing out is that in 1984, Sarajevo was a modern city that hosted the Winter Olympics. It had high-rise buildings, universities, and art museums. By 1992, it was “Sniper Alley.” We live in a world where barbarism rages out of control in various, and sometimes unlikely places. While we haven’t seen actual open warfare involving citizen combatants on the streets of America recently, it isn’t paranoia to be a little skeptical and prepared. So why bring such gear to training? 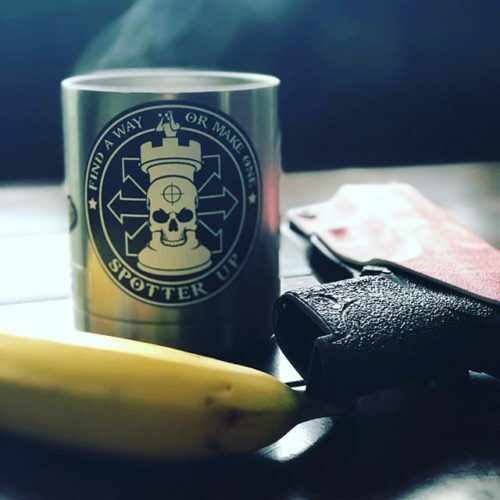 Because the mission drives the gear, because it’s polite to the instructors and to my fellow students to not be “that guy” who is always out of magazines and causing delays in class. 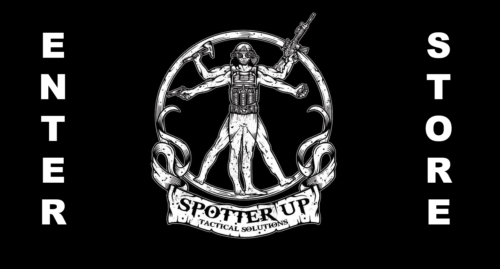 Now when someone starts piling on a bunch of other stuff that they don’t need or typically use; communications gear and armor plates and big knives and other stuff that gets in the way of training, then things get a little silly and unproductive. Take that extra junk out though, minus a good IFAK, and there is nothing wrong with anyone, regardless of occupation, using a simple piece of load-bearing gear to carry their extra magazines so they can spend more time learning and less time interrupting class. If you are worried about creating “training scars” then just feed mags from your chest rig to your pocket or belt pouch, and feed your rifle from there. This will simulate your “real world application” as practically as possible for the purposes of training.